Your patience has paid off—this is a once-in-a-lifetime opportunity to get your dream Mercedes-Benz. Getting a Mercedes-Benz is always a special occasion, ever more so now. From now until the end of the month, receive savings of up to $8,088 on select 2018 Mercedes-Benz models. 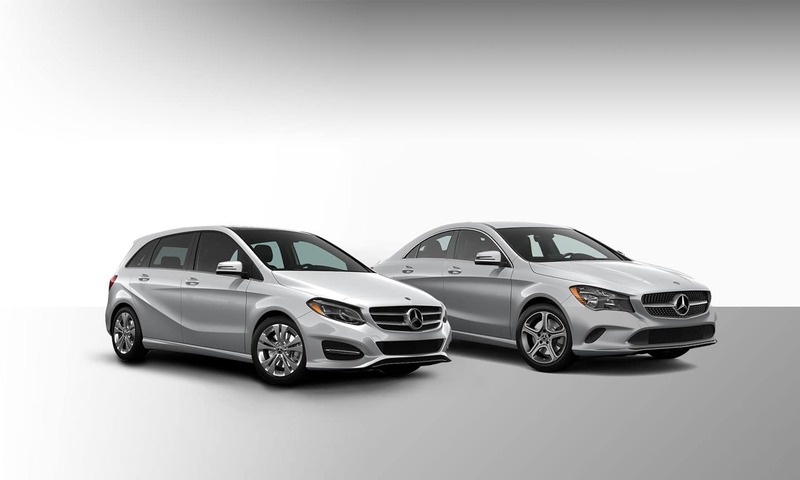 With offers too good to pass up, now is the time to get your new Mercedes-Benz! The 2018 Mercedes-Benz CLA 250 4MATIC is a compact sedan that serves as the affordable luxury model from Mercedes-Benz. The CLA 250 is powered by a turbocharged 2.0-litre four-cylinder engine and paired with a 7-speed automatic transmission that pushes 208 horsepower. With a timeless silhouette and precise German-engineering, cherish every second driving your new Mercedes-Benz. The 2018 Mercedes-Benz B 250 4MATIC is a hatchback that is hailed as one of the best luxury small cars. Providing comfort and practicality, along with a simple grandeur, comes natural to the B 250. With all the bells and whistles you would find in the more upscale models, the B 250 handles great with its strong performance and excellent economy. The same Mercedes-Benz spirit you know and love is alive in the 2018 B 250. If there was any moment to act, this is it. Getting a new Mercedes-Benz is always a special moment. With offers too good to pass up, now is the time to get your new Mercedes-Benz! Book an appointment today and we look forward to seeing you! © 2019 Dilawri Group. Total price includes freight/PDI of $2595, documentation fee of $595 and fuel surcharge of $75. Additional options are extra. Lease and finance offers are available only through Mercedes-Benz Financial Services on approved credit for a limited time. *Delivery credits of $8,088 applicable only on the 2018 CLA 250 4MATIC. **The loyalty program offers up to a 1% rate reduction off of the lowest advertised lease, retail finance or star advantage rate on new and demonstrator Mercedes-Benz passenger vehicles leased, financed or cash purchase via Mercedes-Benz Financial Services on approved credit for a limited time. To be eligible, a customer must have either leased or financed a new or certified pre-owned Mercedes-Benz or smart vehicle with Mercedes-Benz Financial Services and currently have an active account or had an active account within the last 6 months, or a customer must be a current owner of a new or pre-owned Mercedes-Benz vehicle with the required proof of ownership. Please see your local Dealer for interest rate reduction eligibility details. Certain conditions may apply. Vehicle license, insurance, registration, and taxes are extra. Dealer may lease or finance for less. Offer may change without notice. Offer ends February 28, 2019. © 2019 Dilawri Group. Total price includes freight/PDI of $2595, documentation fee of $595 and fuel surcharge of $75. Additional options are extra. Lease and finance offers are available only through Mercedes-Benz Financial Services on approved credit for a limited time. *Delivery credits of $6,088 applicable only on the 2018 B 250 4MATIC Avantgarde Edition. **The loyalty program offers up to a 1% rate reduction off of the lowest advertised lease, retail finance or star advantage rate on new and demonstrator Mercedes-Benz passenger vehicles leased, financed or cash purchase via Mercedes-Benz Financial Services on approved credit for a limited time. To be eligible, a customer must have either leased or financed a new or certified pre-owned Mercedes-Benz or smart vehicle with Mercedes-Benz Financial Services and currently have an active account or had an active account within the last 6 months, or a customer must be a current owner of a new or pre-owned Mercedes-Benz vehicle with the required proof of ownership. Please see your local Dealer for interest rate reduction eligibility details. Certain conditions may apply. Vehicle license, insurance, registration, and taxes are extra. Dealer may lease or finance for less. Offer may change without notice. Offer ends February 28, 2019.